Source: DFW International Airport Facebook page. TYLER TX (KLTV) - Things are getting back to normal after smoke was reported in DFW International Airport’s Terminal Radar Approach Control building, and the Federal Aviation Administration issued a “ground stop” that caused flight delays Wednesday afternoon. The incident also affected flights arriving and departing at Dallas Love Field. The radar approach controllers that were evacuated from a building earlier today have now returned and are back on duty. Tyler Pounds Regional Airport may have been one of the North Texas airports that were affected by the delays. According to a website for the airport, American Airlines Flight 3674 was supposed to leave for Tyler at 1:03 p.m., and the arrival time has now been moved back to 2:43 p.m. The flight arrived at 2:32 p.m, according to the airport’s website. 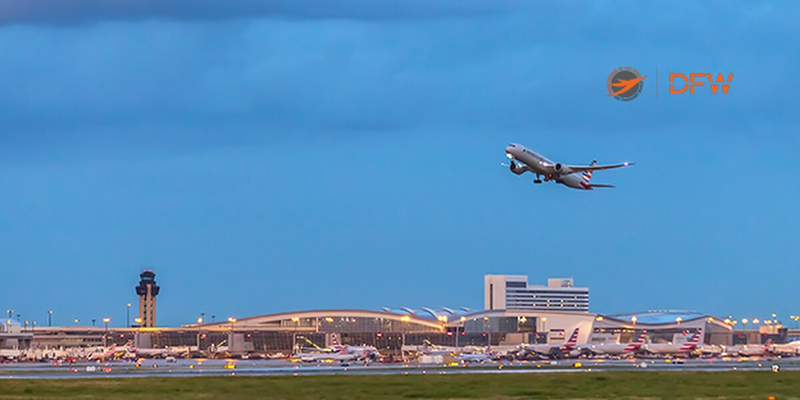 “Air traffic controllers were forced to evacuate from the DFW Terminal Radar Approach Control, which manages airspace across most of North Texas, after a report of smoke in the building, possibly from ongoing construction work,” Lunsford said. DFW’s Department of Public Service responded to the alarm, which was issued shortly before 12:30 p.m. Wednesday. Lunsford said the FAA put a ground stop in place to help manage the volume of traffic in the interim.